Yet another American AAdvantage buy miles offer emerges and that promotion is today’s Bonus Offer Highlight. 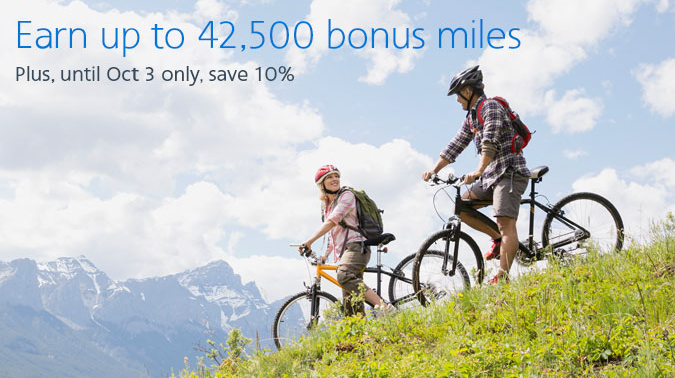 It offers up to 42,500 Bonus Miles until the end of October but if you buy by October 3rd you’ll also get 10% off the regular price. Other bonuses added today that you should also look at are Amtrak’s Double Days, Cathay Pacific’s bonus for Rocketmiles stays (not limited to 1st time bookers) and TAP Portugal’s 50% discount on buying Victoria Miles. – 50% Discount when you buy, transfer or extend your TAP Portugal Victoria Miles. More… Until ?